Did you know that drinking water is one of the best things we can do for ourselves? Water is very powerful stuff. It keeps our body hydrated and our mind sharp. On average, our body needs at least two quarts of water every day. That’s about the same as the ice cream carton in your freezer! Our blood, muscles and lungs all contain water. Drinking lots of water increases our concentration, improves circulation, gets rid of toxins, helps with digestion, helps to regulate our body temperature, and gives us more energy. It even can help you pass a test, make a basket, or lose weight. 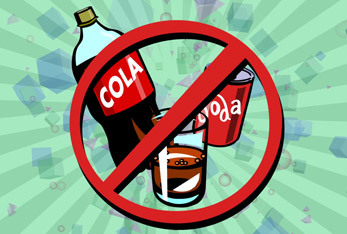 Now, if you prefer drinking other things like soda and coffee your brain and body won’t like you very much. You will get really dehydrated, and eventually you will become super sluggish and won’t be able to think at all! That’s why it’s really important to drink at least 6 glasses of water every day! Did you know that what you drink is as important as what you eat for maintaining a healthy weight? It's true. Many overweight kids drink soda pop and sugary drinks throughout the day. That can really pack on the pounds! So, how much soda do you drink? Do you ever think about what it does for you? Or worse, what it doesn't do for you? It might be time to start doing just that. Soda-Pop is full of empty calories. Meaning it has no nutritional value for your body. This contributes to obesity because people forget that they are drinking a ton of extra calories. 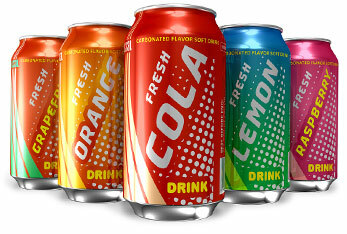 Soda-Pop has been linked with harmful diseases such as heart disease, diabetes and increased risk of stroke. Soda-Pop contains carbonic acid, which can eat at your teeth, leading to increased chances of getting cavities. The fructose in soda is said to increase chances of having high blood pressure. Rather than quenching your thirst like you think it does, it actually dehydrates you! It also makes your bones weaker by removing calcium! The problem with soda is that it doesn't do anything good for your body! Sure, it's okay to drink soda every once in a while, but for those on a daily, or even weekly habit of drinking soda, it's time to make a change! Drink water. Beautiful power water.